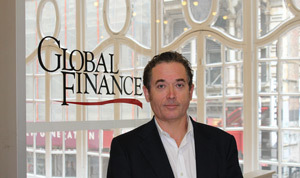 Global Finance sat down with Jan Stuart, managing director, head of energy commodity research, fixed income, at Credit Suisse in New York, to get his perspective on the global economy and oil markets. A native of the Netherlands, Jan Stuart joined Credit Suisse in September 2011—after working as a global oil economist at UBS and at Macquarie Bank, where he covered oil commodities analysis in the bank's equity sell-side research franchises. 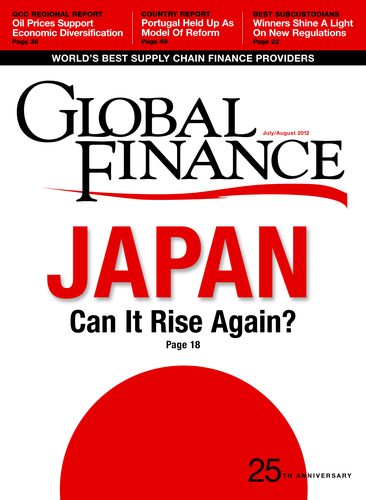 Global Finance : What is your outlook for the global economy and oil prices? Jan Stuart: The picture has shifted in the past few months. March 13 was a high point for oil. The data has shown materially less demand growth. The economy in Europe is slowing, and there are systemic pressures on the [European] banking system. There were the elections in France and Greece. In America, things are slowing. I am far less bullish than I was on oil prices. GF : What about China? Stuart: It's quite clear that growth is slowing in China. Consumer spending is not growing fast enough to make up for the decline in fixed-asset investment growth. China has taken its foot off the brake [on inflation] to stimulate growth. Oil demand there is all about transport for fuel. Urbanization and modernization in China cannot extend without using more diesel fuel. GF : How do economic activity and the use of oil interact? Stuart: It is difficult for any country to grow without an accompanying escalation in the demand for oil. If countries are growing, they are building factories, roads and bridges and other infrastructure. They are moving goods by truck and rail. They are exporting. All that means demand for oil will go up. Emerging market energy growth should increase about 3% a year. GF : How do you view key sovereign players in the oil industry? Stuart: The Saudis said in October 2011 that they would not expand their oil production capacity. They have become more aggressively nationalistic and want to defend their own national interests. Up until September 11 [terrorist attacks], Washington and Riyadh had a special relationship. It was not born out of friendship. It was of self-interest. That has changed. The Saudi state has evolved. There has been a change in the security environment. The relationship that existed before 9/11 is over. GF : What is the impact of financial sanctions placed on Iran? Stuart: It is wrong to assume that India or China will want to poke a finger in the eye of Iran. The sanctions just make relationships for everybody more difficult. We, meaning the United States, Europe and Israel, are trying to box Iran in. We hope that under the threat of sanctions, Iran will behave. Two thousand years of history indicates otherwise. It's a declaration of commercial war. The Iranians are understandably a bit peeved. GF : What is your take on Venezuela? Stuart: The question in Venezuela is whether there is a transition plan in place if Chavez [Venezuelan president Hugo Chavez] is indeed in the final stages of cancer and dies. In the best of cases, there would be a change of guard with some commercial sense running PDV [Petróleos de Venezuela, the Venezuelan state-owned petroleum company]. GF : What do you think about the US role in global affairs? Stuart: Washington still has a ridiculous amount of political power. That's because of its military force, security apparatus around the world, and its financial clout.